Sometimes, tooth decay or damage is more significant than can be repaired with a simple filling. If the interior of the tooth, the part known as the pulp, becomes damaged, your dentist will likely recommend root canal therapy in Woodstock. But don’t worry -- it’s not as bad as you might think! Keep reading to learn more about this common restorative procedure. The warning signs of a tooth that needs a root canal are usually hard to miss, because it will probably involve some amount of pain. Once decay or damage has affected the interior of the tooth -- the area where the sensitive nerve endings live -- you are likely to feel it. 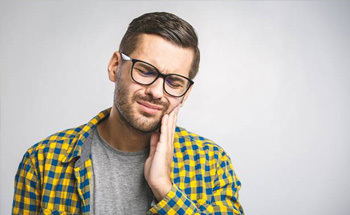 If you need a root canal, you will probably experience a dull to severe ache, lingering sensitivity to heat, cold, air, or pressure, swelling and redness in the area, and possibly darkening of the tooth. Once your dentist in Woodstock identifies that a root canal could save your tooth, a treatment plan will be put together to save it quickly. First, the area will be numbed completely so you won’t feel a thing. Then, special tools will be used to remove all the dead or infected tissue from the interior of the tooth. The root canals will be cleaned and reshaped, and a biocompatible material known as “gutta percha” will be placed inside. As a final step, either a temporary or permanent filling will be placed. If your root canal is carried out over the course of two appointments, you will return several days later for the permanent restoration to be placed on top. The recovery period following a root canal may last for several days. This is oral surgery, after all -- so plan to rest and relax until you feel comfortable and energetic enough to return to work, if possible. Eat a soft foods diet in the first day or two and take all medication exactly as directed. If you have received a temporary restoration, be careful when chewing until the tooth has been permanently restored. Notify your dentist if symptoms of swelling, bleeding, or pain do not subside after a few days. Where Can I Learn More about Root Canals? If you have an aching or damaged tooth that needs repairing, a root canal can rescue it and keep your smile complete. To learn more about this treatment option, do not hesitate to get in touch with your dentist in Towne Lake! Dr. Patel and his team look forward to helping patients enjoy healthy smiles for life with quality restorative dentistry.